What makes someone or something great? Incredible talent, brilliant performance, innovations, influence, test of time – all of these contribute, but there is one more thing essential for that final stamp of ‘greatness’. It is the legend associated, the folklore, the paradoxes, the enigma. Whether it is the symbolism of Muhammad Ali’s fight against racial discrimination, or the tragedy of Guru Dutt – these socio-political, poetic-philosophical elements always contribute to the unanimous acceptance of something as ‘great’, and often these have nothing to do with the actual performance of the act. At the time when the Hollywood Studio System was at its powerful best, when studio executives held more power than the stars or the directors, a unique contract suddenly became the talk of the town. RKO, one of the major studios, had just offered someone to produce, direct, write, and act in two feature films, without any interference and with the privilege of the final cut – something even the most established directors could not dream of. This offer was made to a 25-year old young man and this led to phenomenal jealousy in the Hollywood community against him, whom the world later identified as Orson Welles. Welles decided to base the first movie on the life of a newspaper tycoon – William R. Hearst, playing the lead role himself. The name of the character in the movie was Charles Foster Kane, but the Hearst connection could not be retained as a secret. Fearing a negative portrayal of himself, William Hearst attempted to buy and destroy all negatives of the film but couldn’t. He then attacked the movie through his newspaper, and threatened to retaliate against theatres that showed it. The industry was terrified. A group of studio bosses offered RKO money to burn the negative. But the studio refused. 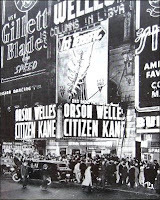 ‘Citizen Kane’ opened to extraordinary critical acclaim. And my last three posts on it, which are only a glimpse into its brilliance, should at least justify that. I still feel that the unprecedented praise by the American media had definitely something to do with the controversy surrounding its production and release. However, the movie failed to recover its costs at the box-office. Despite several nominations, it could not win more than one Academy Award in a ceremony where it was booed and insulted. Eleven years later, in 1952, Sight and Sound magazine voted it as the 11th greatest movie of all time. A group of French critics, who were soon to kick-start the most influential film movement in world cinema, the New Wave, were praising the movie highly during the 50s, and it was revived in America in 1956. When Sight and Sound released their next list in 1962, ‘Citizen Kane’ was voted as the greatest film ever made. Since then it has retained that spot for each subsequent decade, and today it occupies the top position in almost all great movies list. The story, though, does not end here. The film did an everlasting damage to the career of Welles. The industry had realized that this man will always place his artistic aspirations over the finances. RKO violated the same contract by taking his next film away from him and changing the ending. Welles went into a self-imposed exile in Europe for much of the rest of his career where he found a more sympathetic audience. He acted in others’ movies to raise funds for his own. Two years before he died, he accepted that he “made essentially a mistake in staying in movies”. In the end, his first movie also became a prophecy for his own life which ended lonely and unfortunately like that of his character – Charles F. Kane. 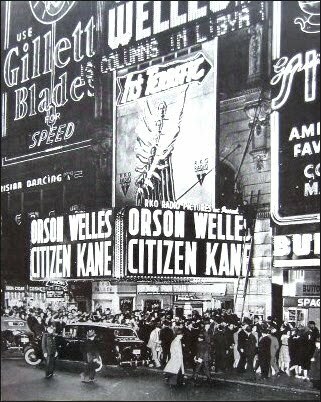 ‘Citizen Kane’ in my opinion, is definitely one of the greatest American movies. It is a wonderful film text, rich, influential, enigmatic, and also, once you start understanding it, entertaining. It is a brilliant expression of an auteur, a purely original work, an aesthetic and technical watershed in cinema history. But is it greater than ‘The Godfather’, ‘Seven Samurai’, ‘8 ½’, ‘Bicycle Thieves’? I don’t know. I’m not qualified enough to comment. However, when filmmakers and scholars and critics all over the world vote it as the greatest, I better listen to them. They know the medium better than me, and they have no reason to lie! "Everyone will always owe him everything" – believes Godard about Orson Welles. And just for this reason, I also recommend this film as a must watch (#21). You can not die without watching ‘the greatest movie ever made’.